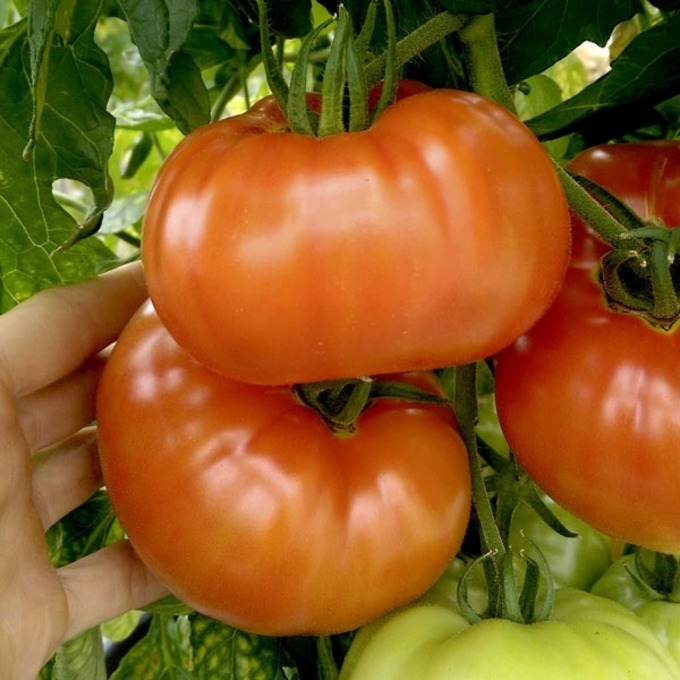 “The FIRST tomato developed by Heinz back in the day, perfect for cooking, with the deep, rich flavour you’d expect. Each plant is semi-determinate, meaning it will stop growing at around 90-120cm (3-4”) and will produce massive red fruit (400-900g) which you will need to support. This cooking tomato is fantastic grilled, roasted, made into sauce and makes a fantastic soup!” Sow January-May. Harvest July-September.